The Canon C200 is a bit of an enigma. It is either an all-out 4k raw beast or a slightly underwhelming 8-bit internal recording camera. So how does it fit into a TV production dominated by Sony? 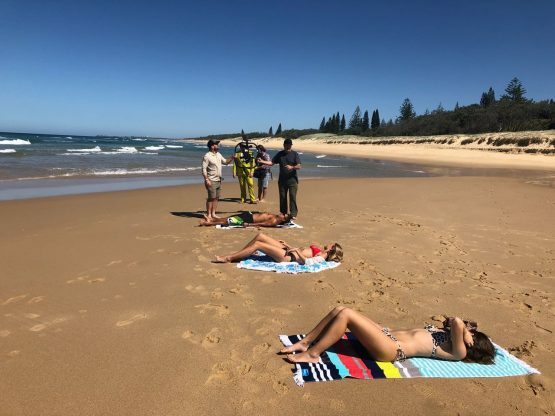 I decided to find out on the second series of Instant Hotel, an Australian show that aims to find Australia’s best Air BnB. It is a show with a little bit of drama, pretty pictures, and some incredibly challenging shooting conditions. I wanted to share my experiences (good and bad) with the Canon C200. 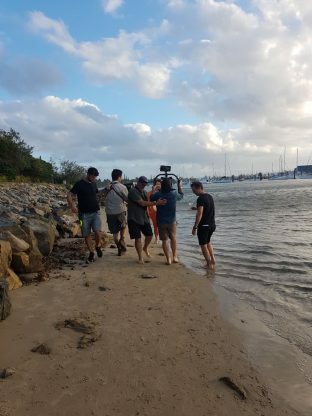 Instant Hotel uses the Sony F5 as the main camera – a total of seven F5s are used, shooting XAVC 10-bit 100 Mbps Slog-2. 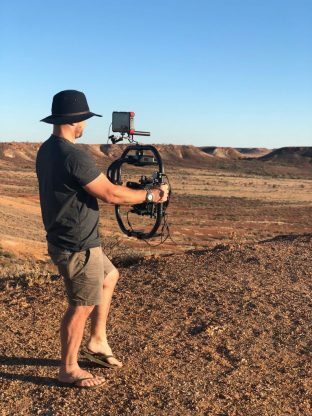 The second unit cameras are the Sony FS7, and the production also uses an Inspire 2 drone, Phantom 4-Pro drone, a Canon 5D for time-lapse, GoPros and then the Canon C200 as the gimbal camera. With such a mix of gear would anyone really notice a Canon (8-bit) cinema camera slipped in the side door? The big payoff would come later when the promo department requested our help … (4k raw you lifesaver). 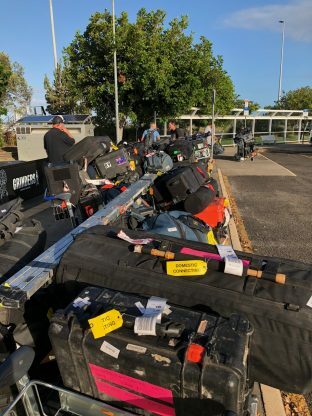 We had over 200 road cases of gear and 40 plus people traveling to each location. There is a lot of debate over the lack of an HD 10-bit codec. I agree it would be great, but the camera still produces a very good HD 8-bit 4:2:0 image with nice Canon colors. That’s the key to this camera, don’t buy it if you want or need a 10-bit HD codec (unless you want to record externally, more on why I don’t later). I have worked with other 8-bit codecs and had huge issues with banding and pictures not holding up in post. I have even had a manufacturer recommend not to shoot Log in 8-bit. That is not the case with Canon’s 8-bit when shooting Log. Post had no issues at all with the HD footage from the C200. In fact, the lower bit rate had some advantages for data rates. I didn’t need to stop recording, and you can fit so much footage on an affordable SD card. We were syncing everything in post so I just let it roll. This less time with the clapper board between takes means less syncing clips in post. 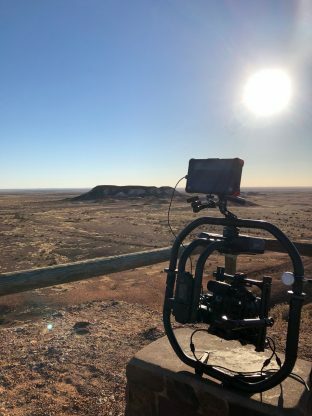 The first location we filmed at was Coober Pedy, an old opal mining town, and one of the hardest places in Australia to film. 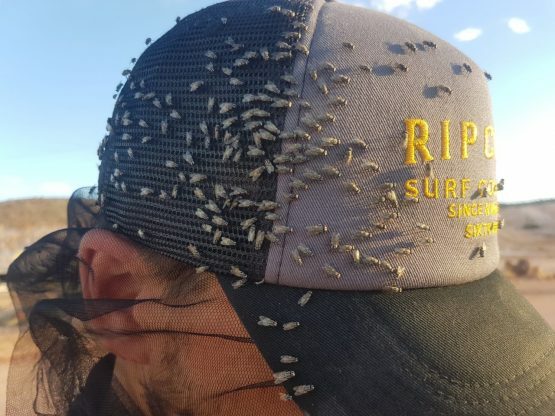 It’s basically a desert – think flies, sand, and heat. People live underground to escape the weather. It’s a perfect location to test a C200. My set-up was the C200-Clog 3, MXF HD, Canon CN-E primes, 11-16mm Tokina Cine, PD Movie focus wheel, Atomos Shogun monitor, majestic mode on the Movi, touch screen removed and a Tentacle Sync for timecode. The C200 performed perfectly and we could not have been happier with the pictures. We spent the next five weeks filming at different locations around the country and the C200 did not skip a beat. I did think about taking my C100 Mark I and Movi M5. I have used the C100 for many years on the Movi M10 and M5 with great success. With no mention of 50p or 4K on this shoot, I thought better of it just in case. That decision paid off on day one when we were asked to shoot the promos for the series. When you are suddenly asked, “Can we swap to 4k now?” you need to be able to do it. In 2018, the assumption is all cameras should be 4k capable. I was so glad I packed my CFast 2.0 cards. 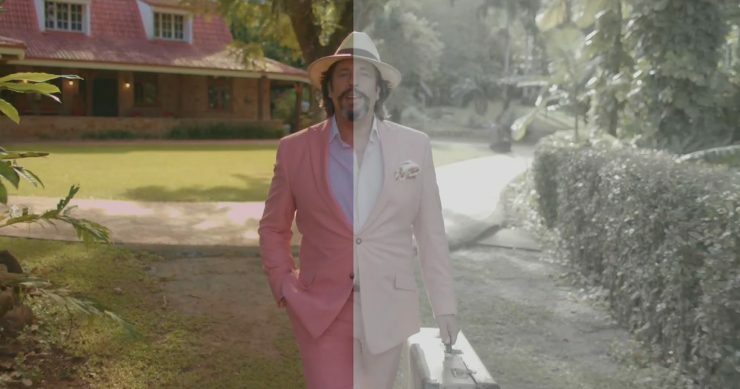 The geographical isolation of the location meant it would have been difficult, and expensive, to bring in a promo crew. So myself and Andre Eavis, the DOP on the series, were asked to shoot them. We also filmed all the opening PTC’s on the C200/Movi as well as all the overlay throughout the BnB’s. I was also asked to shoot some 50p HD – again the C200 had all the answers. When I use the Movi, I strip the C200 right back. I use the Shogun monitor as my only screen. I basically rely on it for everything (exposure, color temperature, focus). I use all the Canon built-in LUTs on the Shogun. I could not work without the 1,500 nits screen outside. This combined with the C200 is a very solid combination for gimbal work. I send all the information out to the monitor and that’s why I can’t record 10-bit to the shogun. To be honest, I can’t really tell if there is much difference between internal 8-bit and external 10-bit. The focus guide has become my favorite feature on this camera. If it’s green then I’m in focus. It has never let me down and I don’t know how I got by without it for so many years. When the shoot wrapped, I contacted Paul Stewart at Canon Australia so I could ask him some “simple” stuff about the C200. That was my first mistake. The second was expecting a simple answer to why this camera’s 8-bit codec works so well. Unfortunately, there really isn’t a simple answer. Paul ran me through Canon’s 20-plus year history of digital sensor development and color science, then he talked about the processing power of this camera. 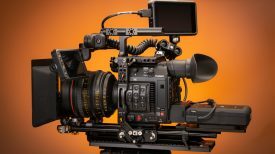 The C200 uses the same sensor as the Canon C700, and it does an oversampling HD process to produce an excellent HD image from a 4K sensor readout. That was key for me. It’s not one thing that makes this camera work – it’s a combination of a bunch of things. When shooting Raw be careful not to underexpose, it gets very noisy if you have to raise the exposure in post. I learned that the hard way when I first got this camera, having not set my LUT correctly on the Shogun (user error). 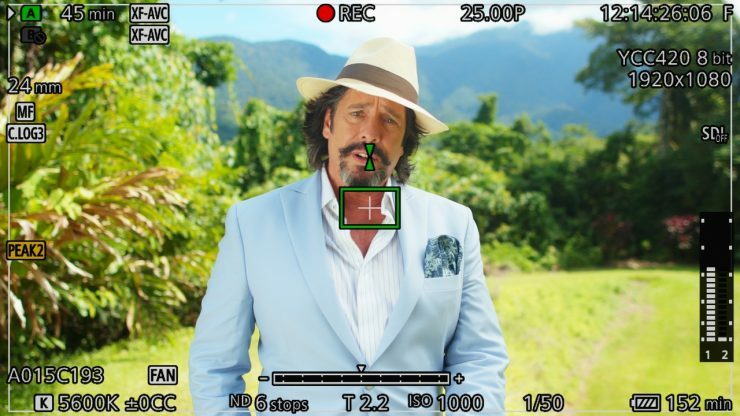 Again for me, the HD does what I need it to, the majority of gimbal work on TV (at least in Australia) is done with DSLR’s shooting 8-bit 4.2.0. In my opinion, there is no comparison to using a cinema camera. I wanted the best camera for my gimbal and for me this is the C200. It does lack a usable 100fps, timecode in, and 10-bit internal recording, but it makes up for this by having features like extended ND, great onboard audio, wireless monitoring, and one of the best autofocus systems on the market. I wanted to share my experiences with this camera as I feel it sometimes gets a bad rap. It’s a perfect gimbal camera. I do have the slight luxury of having a few cameras, so if I need 10-bit, I can use my Sony F5 or Canon C500. So if you are only buying one camera, then I understand why people would like some higher-end options in HD. 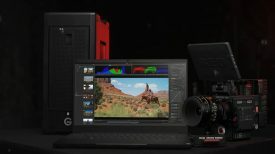 Matt wrote a great article about how much workflow is actually 4k vs HD. I shoot maybe 80-90 percent HD and most of the 4K is for resizing for HD, not for 4K delivery. 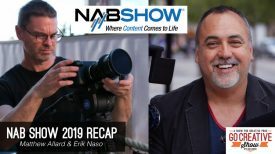 CFast 2.0 cards are dropping in price and the workflow has improved a lot now that Canon Raw Light files work with DaVinci Resolve and Premiere Pro. I do use the C200 for corporate jobs and the size of the camera makes it easy to get into buildings that don’t like trolley loads of gear coming through the foyer, or where you only need a small camera or minimal kit. 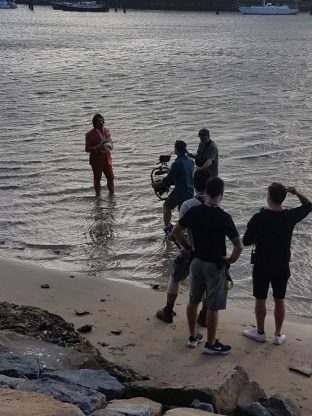 It was a pleasure working on Instant hotel the Seven Network, we had a great crew and look forward to seeing all our hard work on air soon.